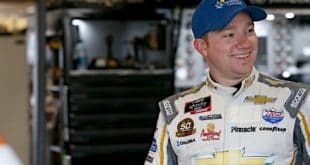 Massie's Minute: Are Non-Championship 4 Drivers Allowed To Win at Homestead-Miami? 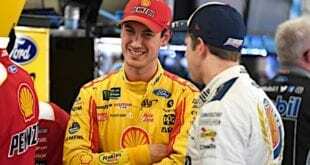 Home / Cup Series / Massie’s Minute: Are Non-Championship 4 Drivers Allowed To Win at Homestead-Miami? Massie’s Minute: Are Non-Championship 4 Drivers Allowed To Win at Homestead-Miami? One of my favorite things to see when I was growing up was a NASCAR season finale where two drivers celebrated two different things — the race win and the championship win. I always viewed it as, “One won the battle, the other won the war.” The greatest example of these separate NASCAR paths came in 1992. That’s when Bill Elliott won the season finale at Atlanta Motor Speedway but it wasn’t enough to beat Alan Kulwicki for the championship. Kulwicki finished second. There was something about seeing two cars doing victory laps and sometimes burnouts that really appealed to me. And there were some special moments created as a result. In 1993, for example, Rusty Wallace won the race and Dale Earnhardt won the championship. They carried Kulwicki and Davey Allison flags with them on their victory laps to pay tribute to the two drivers lost that year. Another cool moment was when Bobby Labonte won the race in 1996 while his brother, Terry, became champion. In 2008, champion Jimmie Johnson did a burnout around race winner Carl Edwards, who was getting set for his signature backflip. Sadly, we haven’t gotten to see a joint celebration since 2013, when Johnson and Denny Hamlin did dual burnouts. That’s because the championship driver has won the race at Homestead-Miami Speedway each of the past four seasons. Sure, it’s exciting to see a driver win the race to get the ultimate prize. It feels kind of like a walk-off home run in baseball. But has it been that way since the start of our current playoff incarnation by coincidence? Or are the drivers outside of the championship fight not truly trying their best to race the Championship 4? The numbers seem to suggest the latter. From 1949 to 2013, a 64-year span, the champion only won the final race of the season seven times. Only seven times! Five of those were between 1955 and 1971 when there were only a few dominant cars. Tim Flock, Buck Baker, Ned Jarrett and Richard Petty each won a ton of races during their championship campaigns of that timeframe, so it makes complete sense they would also win the last race of the season. But from 1972 to 2013, the feat only happened twice. There was Jeff Gordon in 1998, when he won 13 races on the year, and Tony Stewart in 2011, when he won five of the final 10. Like the other five, both those instances make complete sense. So for all that time, winning the championship and the final race of the season was a rare occurrence. 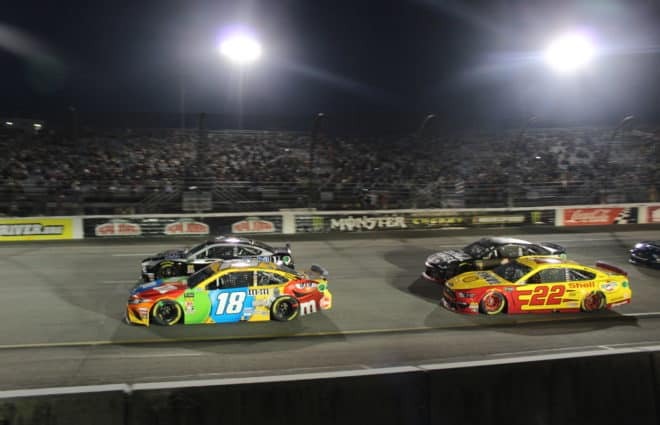 Then, NASCAR introduced the current championship format for Homestead-Miami Speedway in 2014, where the highest finisher of four drivers gets the title. All of a sudden, a Championship 4 driver is winning the race every year since. That seems like too strange of a coincidence. 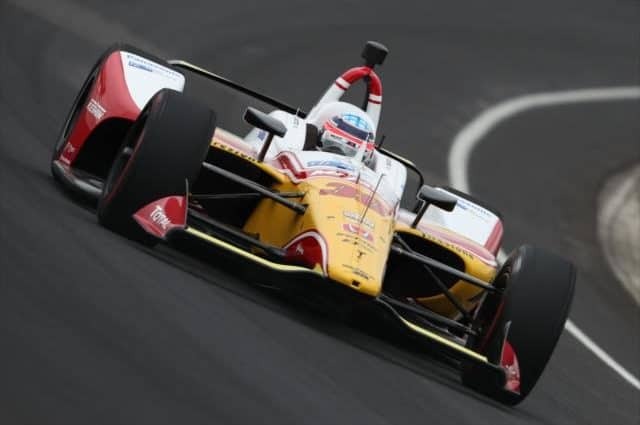 What makes those past four Homestead races even shadier is the championship driver has not once dominated the race in that span. In 2014, Jeff Gordon, a non-Championship 4 driver, was the man to beat. He led 161 laps in the 267-lap race. But Gordon didn’t pit during a late caution where most of the field took four fresh tires, leaving him a sitting duck with 15 laps to go. Kevin Harvick cruised by that day to win the race and the championship. The following year, Brad Keselowski emerged as the fastest car during the second half of the Homestead race. He led 86 of the final 96 laps and looked like a sure bet for the win. 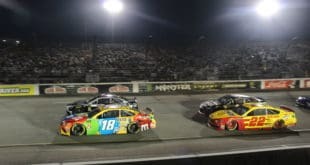 But on a restart with seven laps to go, championship contenders Kyle Busch and Harvick got around him. Suddenly, the No. 2 was nowhere near as fast as it had been. The past two races at Homestead have been the Kyle Larson show. He led 132 laps in 2016, seemingly headed toward victory. But once the race hit overtime, Johnson, who had not been a threat the whole race, came flying around Larson to claim his seventh title. Last year was more of the same. Larson led 145 laps and won both stages but lost the lead on pit road after stage two. 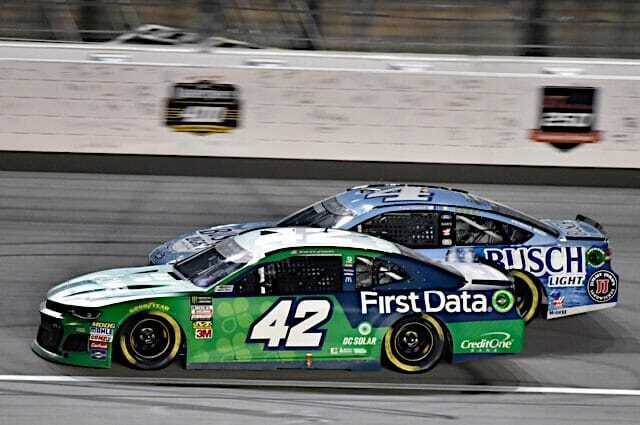 Larson was back to fifth on the final restart with 34 laps to go. As the laps wound down further, he worked his way up to third. Larson rocketed up to catch championship contenders Martin Truex Jr. and Busch, who were first and second, and got to Busch’s back bumper. But he never attempted the pass. 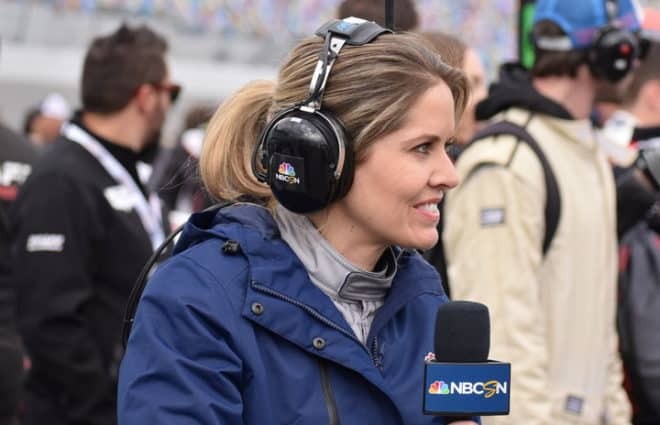 Instead, Larson slowed his pace so much the NBC commentators even mentioned he could’ve been allowing the two top title contenders to race it out amongst themselves. Larson settled for a third-place finish while Truex defended a challenge from Busch to win the championship. It’s true in NASCAR the fastest car doesn’t always win the race. But it seems odd the fastest car hasn’t won at Homestead for four years in a row. It’s even weirder when you factor in a Championship 4 driver passed the fastest car fairly late in each of those races and won. It’s hard to believe that’s all just a coincidence. 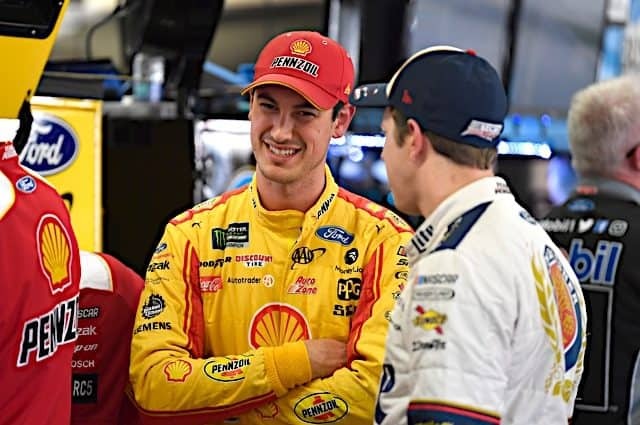 It makes you feel like, if you didn’t know any better, the drivers have some sort of handshake agreement to make sure the winner of the Championship 4 also wins the race itself. Maybe they think it looks better for the sport when the champion wins the season finale. Well, I never thought any less of a driver winning the championship because they didn’t win Homestead. Anyone who watched the other 35 races knows why they won the title. The NASCAR XFINITY and Camping World Truck series champion hasn’t always won the last race in this format and the world didn’t end. But it certainly makes the sport look worse when there are 36 other cars out there competing who can’t win Homestead. NASCAR is supposed to be unique in that non-playoff drivers can steal wins from title contenders. But what’s the point in having them out there if they’re not going to race hard for the win? If NASCAR wants to make sure the champion wins the race, then just do like the movie Cars. Have the four contenders duke it out in a race where they are the only ones on the track. There’s a rarely enforced rule in NASCAR, introduced by CEO Brian France that says a driver must give 100 percent. Well, instead of discouraging the non-contenders from racing the Championship 4, NASCAR should instead enforce this rule. Penalize drivers who don’t go after the win. Otherwise, NASCAR and Homestead are cheating every ticket buyer out of their money and every viewer out of their time. So I challenge any driver who’s not racing for the Cup championship this weekend to go and win Homestead. Tags Brad Keselowski Jimmie Johnson Kevin Harvick Kyle Busch Kyle Larson Martin Truex Jr. Previous Friday Faceoff: Who Is Most Likely To Win It All At Homestead? It certainly changes the mentality of the championship leaders. They don’t get to nurse a point lead anymore or shoot for a finishing position. While I think the other drivers give some space to the Championship 4, I still think they are trying to win. It will happen eventually. Larson had the race in hand 2 years ago until that late caution. There’s a good chance it happens this week. You didn’t mention who the top FOUR cars are for most of the event. Just give it a guess. With the current system you have to be the highest finisher to win the title. Winning the race is the only way to guarantee that you win the title, so now they are forced to go all out. And I do think it makes the other drivers race them with more caution. 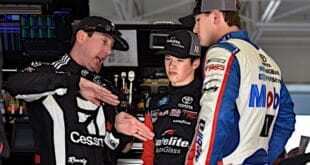 Yes Larson caught Truex and Busch. But the question is, too you want to make a move and go 3 wide and have a issue and take out the 2 of the drivers going for a championship? The 1992 race was 16 years ago, and yet almost everyone remembered that it was Ernie Irvin that cost Davey Allison the championship with his wreck.